Spend a day with fellow educators learning more about how to structure learning environments that better allow teachers to accurately assess and respond to student learning and make real-time decisions that foster student investment. - Identify the classroom conditions to set up instructional agility and student investment. 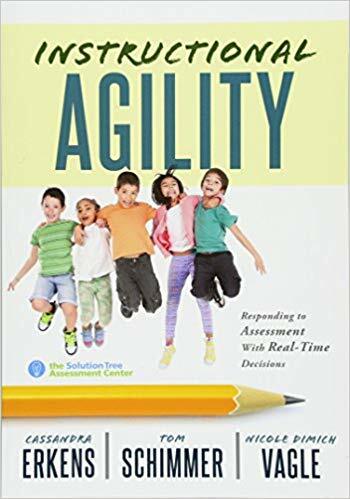 - Describe key components of instructional agility. - Learn key strategies for developing student investment through instructional agility. - Reflect on current instructional agility and student investment practices to determine next steps. Nicole Dimich Vagle has a passion for education and lifelong learning, which has led her to extensively explore, facilitate, and implement innovative practices in school improvement. She works with elementary and secondary educators in presentations, trainings, and consultations that address today's most critical issues all in the spirit of facilitating improved support of student learning. Nicole earned a master of arts in human development from Saint Mary's University and a bachelor of arts in English and psychology from Concordia College. She is pursuing a doctorate.